Great news! Diesel will be taking his ‘Give Me Saturday Night’ tour on the road again in the new year for a run of intimate solo shows. 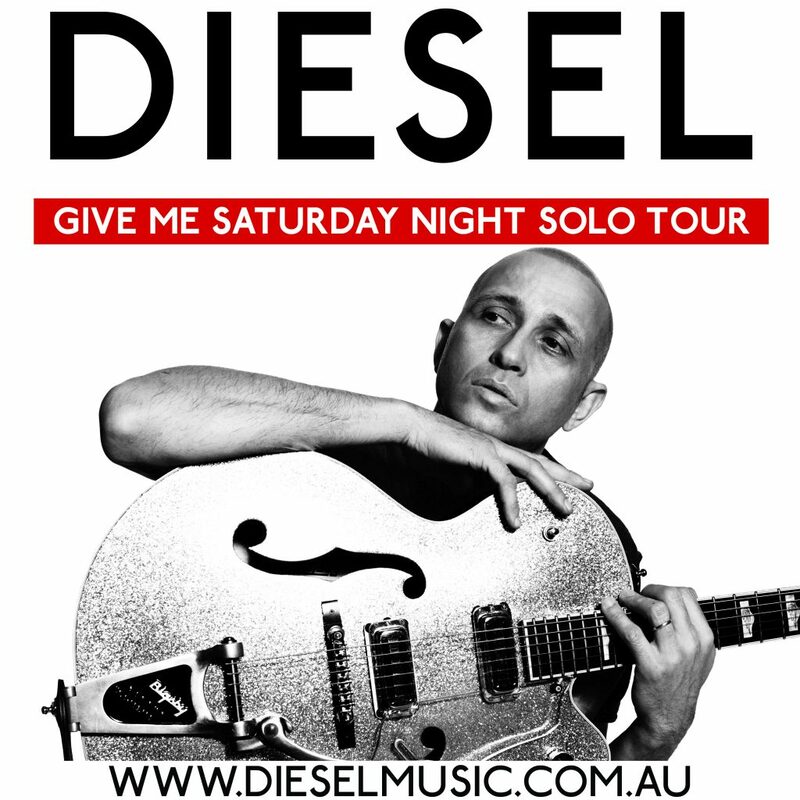 Having released his greatest hits album in August, and already kicking off the ‘Give Me Saturday Night’ band tour, Diesel will continue to light up Saturday nights across Australia by expanding his current tour, adding more metro and a handful of regional solo shows from February – April 2019. Stripping back to basics – just Diesel and his guitar – each acoustic performance will see Diesel perform tracks from his 3 decade-long back catalogue. Celebrating 30 years in music with a newly curated collection of songs, the new album features 14 Top 40 hits, including Tip Of My Tongue, Come To Me and Soul Revival… plus many more. ‘Give Me Saturday Night’ Solo Tour – Tickets Are On Sale Now! Where can I find the list of dates/info?